GCF took part in the 7th edition of the BIGDIVE data science program from June 18th to July 13th 2018 in Turin, Italy, organized by the TOP-IX consortium. In a two-day workshop, Sarah Wolf and Andreas Geiges introduced agent-based modelling and synthetic populations as a tool for digital decision support in dialogues with stakeholders, focusing on the global challenge of a sustainable mobility transition and mixing theoretical aspects with practical exercises. 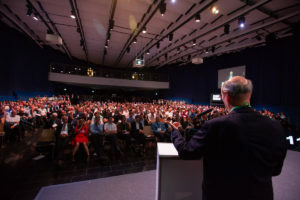 The Digital Future Science Match is an international computer science conference held every spring in Berlin. The Digital Future Science Match has a distinguished record in bringing together many speakers with excellent scientific credentials. 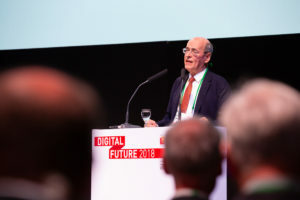 On 14 May 2018, up to 55 leading academics were presenting the latest research findings and their visions for a digital future at the conference in keynote speeches and 5-minute short presentations. 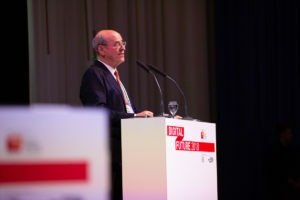 GCF Chairman, Prof. Carlo Jaeger, held a Plenary Keynote (Title: Digital Decision Support in the Face of Systemic Risks) for the session on Digital Decision Support. 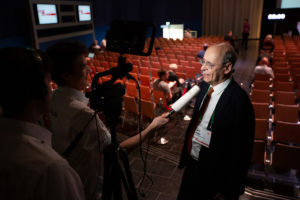 A short video interview with Prof. Jaeger on the subject of fast decisions can be accessed here. The Annual Meeting of the American Association for the Advancement of Science (AAAS) will be held in Austin, TX, this year (15.-18.02.2018). Together with colleagues from the Institute for Advanced Sustainability Studies (IASS) GCF’s chairman Carlo Jaeger will share insights into the German Energy Transition.